As businesses grow more optimistic about opportunities for growth, the pressure is on for sales organizations to meet ever higher revenue targets. In a global survey on sales performance optimization by CSO Insights, 94 percent of respondents said their 2014 revenue targets were higher than last year’s. It’s no wonder that “capture new accounts,” cited by 60 percent of respondents, topped the list of objectives for 2014 in the study. 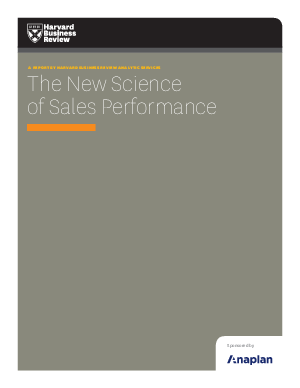 At the same time, many sales reps are struggling to meet even their current quotas. And in an Aberdeen Group survey, nearly half identified insufficient revenue growth as the top pressure motivating them to pursue sales management initiatives ranging from building out the capabilities of sales teams to improving management practices and investing in technology tools.